Recent technology on virtual reality can now helpthe patients relax and reduce the threat during the treatment in the dental chair. It is called "I - glasses", I - glasses creates a Video from a miniature Liquid Crystal Display that appears suspended in space in the Viewers lower field of vision. 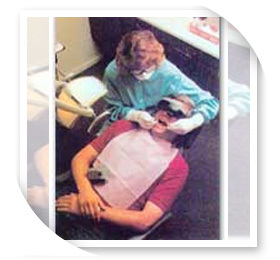 Video tapes , Intra - oral camera pictures can be viewed in this , cutting edge technology. It's hard to believe , but with Virtual Reality I - glasses technology , patients actually enjoy their visits to the dentist's office. Further information , please contact our receptionists for using this state of the art technology.